He came swooping down with spread wings and loud shrill shrieks, aiming directly at my head and turning away just in time! His actions reminded me of a dive bomber during the second World War, when those fearless pilots threw their planes into a steep nose dive at a target before releasing their bombs. 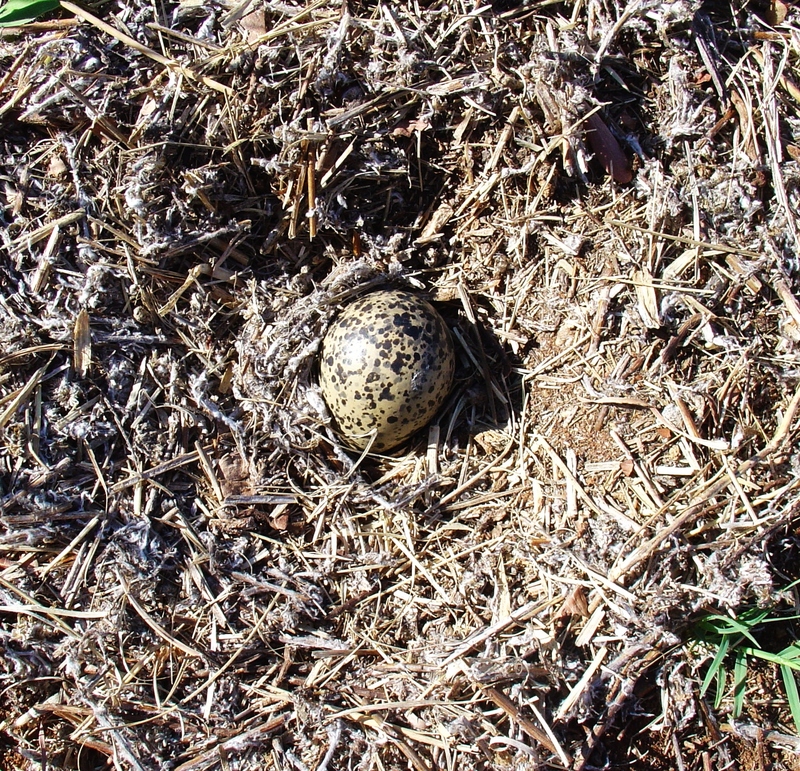 He is a Crowned Plover ( Vanellus Coronatus ) and he is defending his young chicks who are barely one day old. I was walking in our garden and chanced to be in the vicinity of their nest , when I was the subject of this courageous little bird’s attack. 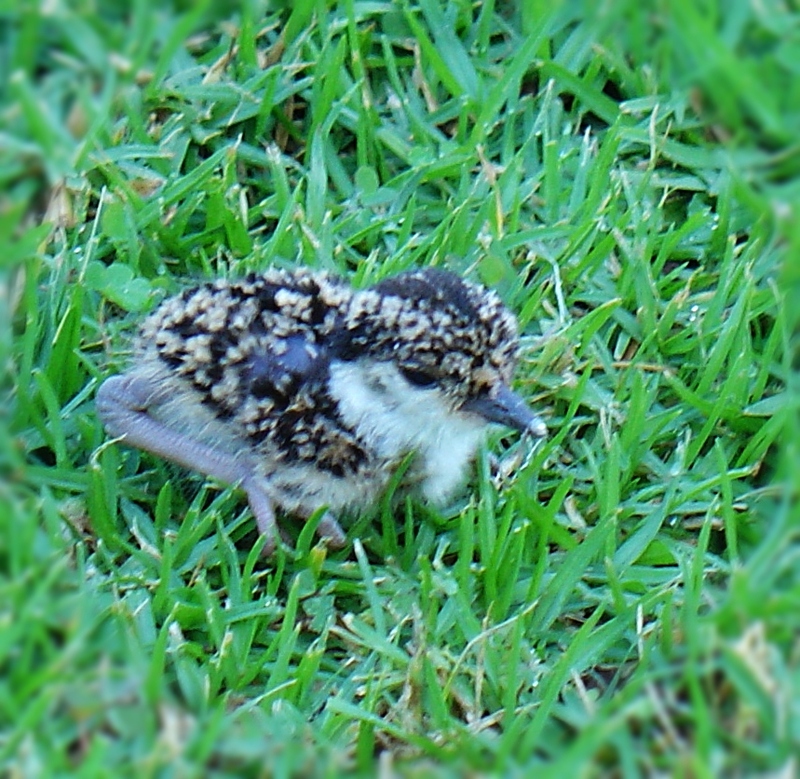 When I looked carefully around me I saw them, two fluffy little chicks trying to run away on small sticklike legs and being tripped by the long grass. The parent birds continued their ferocious attack and distracting tactics to lead me away from their young ones. 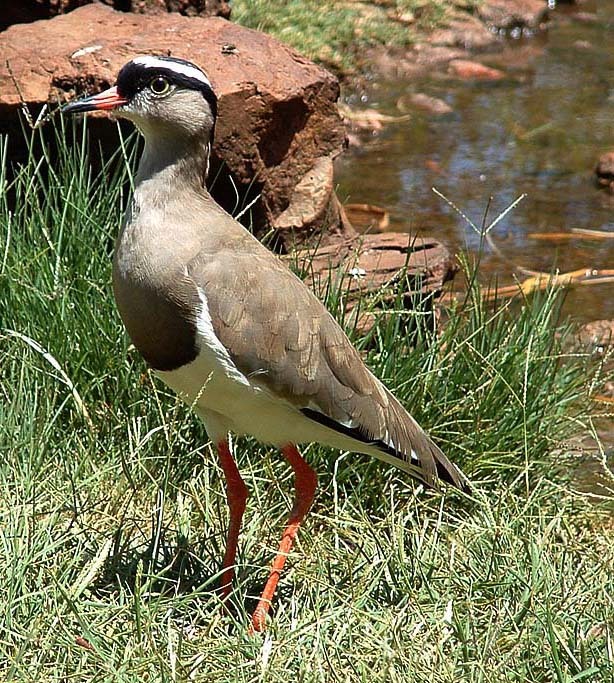 The Crowned Plover also known as Kiewiet in Afrikaans is absolutely fearless if they think their young ones are in danger. Their fierce dive bombing attacks and shrill shrieks are directed at anything and anyone whom they perceive as the enemy without taking into account size. They will attack big dogs, humans, other birds and I even saw them go for a lawn mowing tractor once! Therefore I crown him a most courageous little bird! The chicks seem to understand the shrieks from the parents and lie down flat in the long grass to hide. This behaviour gave me the opportunity to sneak up closely enough to take a photo of the day old chick and the remaining egg in the nest. I am again awed at the wonder of nature and creation which are in the hands of the Lord as I observe this little chick who only four weeks ago was merely the beginning of life in the egg! A most beautiful account of courage indeed, learning from nature the lengths a mother would go to protect her children. Well written story!